From technology to our team, Gator Millworks has established high standards for our work and customer service that will continue to propel us to greater levels of success. Our story has led us where we are today, but our journey is only just beginning. Gator Millworks opened in 1994 to produce architectural millwork for the residential market of Livingston Parish and the surrounding areas. and was forced to solicit the help of his son, Chad Foster, a junior in college at the time, to run the business. Foregoing his remaining time in college, Chad stepped into the role warily at first, but optimistic for the future thanks to continuous encouragement from his father.While intimidated by the prospect of running the company at first, Chad quickly embraced the challenge ahead of him. He dedicated himself to learning what would propel Gator Millworks into being an industry leader and set out to dictate the course for their future. 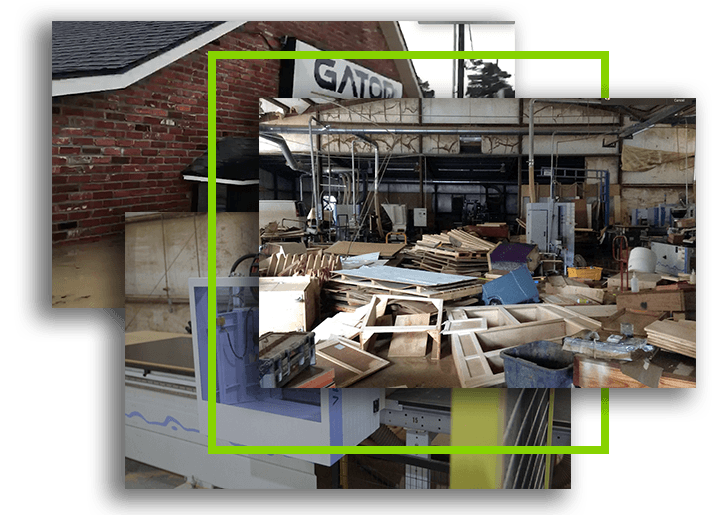 of Gator Millworks after he bought out co-founder Gary Henson and began Gator’s commitment to technology and innovation with the purchase of the first Nested-Base CNC Router. with consistent successes over the first three years of Chad's tenure. Today, commercial business is a significant portion of the work Gator Millworks handles and has allowed Gator to not only bid on large scale projects throughout Livingston and the surrounding parishes, but they have quickly become a prominent figure in architectural millwork throughout the Southeast region of the U.S.Two key components of the success of Gator Millworks under Chad’s guidance can be found in the loyalty and dedication of their employees and the way they are viewed throughout the local and woodworking community. Neither of these would be more evident than when, in 2016, Gator Millworks faced a future that many companies could not have overcome. and devastating flooding hammered Livingston and East Baton Rouge parishes. 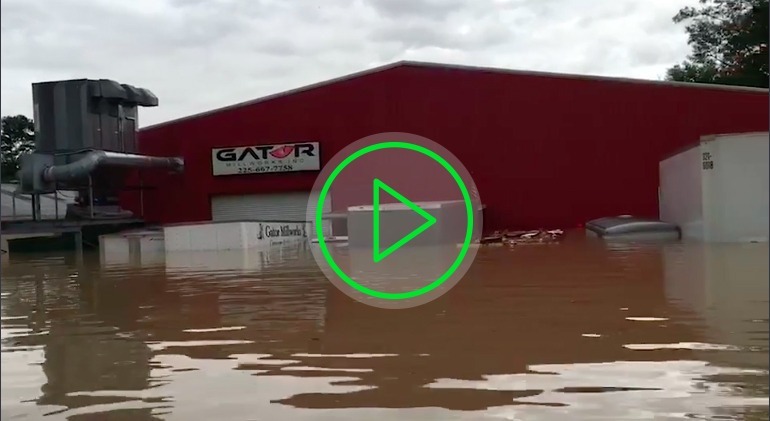 By the time the waters had subsided, Gator Millworks had 72 inches of standing water in their buildings, but water had come through as much as six feet deep during the storms. Everything was completely destroyed.Instead of admitting defeat, the team set a course to not only recover from this devastation, but to come back better than ever. The first focus was to split the employees into crews. Some would stay on at the Gator buildings to gut and clean, while others were sent to the homes of fellow employees to help them in the process of rebuilding from their own losses. Within just 9 days, the shop was once again producing cabinetry using table and chop saws and whatever other hand tools weren’t destroyed. Just 10 short weeks after the flood, the entire fabrication shop was restored to capacity thanks to the help and support of equipment suppliers and within 10 months the offices had been completely rebuilt along with a brand new state of the art showroom. on a 72,000 SF shop, showroom and office space in Denham Springs. Follow our progress as we work towards increased production and continual growth.